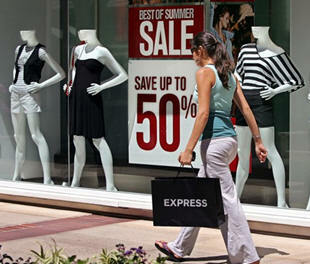 Consumer Spending Drops Off. Will Washington Act? PARDA Federal Credit Union Gives Consumers More Choices. ACC’s Friend of the Consumer Award Recognizes CFS2 of Tulsa, OK.
Consumer Spending Drops Off. Will Washington Act? Just when we thought consumers were feeling more confident about the economy, it seems they’ve decided to start saving money and stop spending it. Why? According to The Wall Street Journal, in the past four weeks American consumers have cut spending on everything from dining out to electronics to cars, suggesting a renewed skepticism in the economy after a resilient start to the year. The question now: Is the consumer pullback a stutter or something more serious? Cash-register sales in March fell by 0.4%, with weakness evident in many discretionary categories, the government said last week in its monthly retail report. And the latest Thomson Reuters/University of Michigan reading on consumer sentiment fell to the lowest level in nine months. Those reports came a week after the government reported that overall hiring slowed last month, with some industries, including retailers, cutting jobs. Ironically, these new signs of consumer distress come despite what was an otherwise solid first quarter. Forecasters surveyed by The Wall Street Journal estimate the U.S. economy grew around a healthy 3% pace in the first quarter. And the stock market has been setting records almost daily. It seems Congress and the White House need to make some important economic decisions that send a clear signal to consumers if they want consumers to get back in the spending game in 2013. 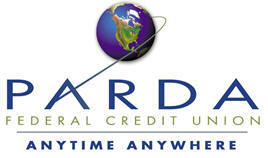 PARDA Federal Credit Union Gives Consumers More Choices! Seven (7) employees at the Detroit, Michigan Parke-Davis facility, originally formed PARDA Federal Credit Union on March 7, 1937. The incorporation as a financial cooperative brought both loan and deposit products and services to the colleagues of Parke-Davis. In 1970, Parke-Davis joined the Warner-Lambert family and PARDA's service expanded with this greater field of membership. In 1978 the charter further expanded to include all of Warner-Lambert subsidiaries. Additional PARDA branch offices were opened to provide convenient services to the entire member base. As this process continues, PARDA has joined forces with Pfizer Pharmaceuticals to offer their colleagues the financial freedom of choice. PARDA Federal Credit Union is proud to serve the employees of our various Select Employee Groups (SEGs). The dedication and commitment of our business partners allows us to continue providing quality financial services to employees and their family members. To learn about more about us and credit union eligibility, please visit Select Employee Groups. We continually strive to offer all that is possible to keep members on the leading edge of financial technology. Take a minute to browse our site and learn about the many products, services and benefits available to you as an important member-owner of PARDA Federal Credit Union. Thank you for your membership. We're here to serve you and our pledge and desire to serve is as strong today as it was on March 7, 1937. As a member of the American Consumer Council you are eligible to join PARDA Federal Credit Union. For more information on how to join PARDA Federal Credit Union, please visit a local branch, or call Nicole Campo at 248-340-7258 or email nicole.campo@parda.com. Transamerica is an AEGON company, a multinational insurance organization headquartered in The Hague, the Netherlands. AEGON is one of the world's leading life insurance and financial services organizations. Transamerica markets the quality products of AEGON's affiliated insurance carriers and utilizes the resources and expertise gained from diverse products and distribution channels. With a portfolio that includes credit and mortgage insurance, debt cancellation, reinsurance solutions and related products, Transamerica can tailor products that strengthen your financial institution while protecting customers’ loan obligations. For more information, please contact Transamerica Vice President Tom Kazar at: http://www.transamericafinancialsolutions.com/contact_us.html. ACC’s Friend of the Consumer Award Recognizes CFS2 in Tulsa, OK. The American Consumer Council is pleased to recognize CFS 2 as a Silver-level recipient of its prestigious Friend of the Consumer Award. CFS 2 is a family-owned company. The family members each understand that “bad things can happen to good people” and have been exactly where you are today. CFS 2 understands. Bill and Kathy Bartmann, the founders of the company, were deeply in debt due to the failure of an oil-related business after the price of oil plummeted in the 1980s. Because they personally had been hounded by predatory debt collectors, Bill and Kathy vowed they would find a better way. Believing they could make a difference, Bill and Kathy started a small agency. True to their promise, Bill and Kathy never treated customers the same way they had been mis-treated. They treated customers with dignity and respect, and quickly discovered that most of those customers wanted to find a way to pay back their debts if only someone would work with them instead of hounding. In the years since 1986, Bill, Kathy, and their team have successfully used debt discounting to help more than 4.5 million American families get rid of the debt that so often tears the family apart. They even won the Better Business Bureau Torch Award for Ethics. Imagine that – a collection agency winning awards from the Better Business Bureau. Though the world has changed a lot in the last quarter century, the family-owned approach to helping people out of their debt problems has not changed. It's still firmly rooted in the insistence that customers must always be treated with dignity and respect and in the belief that giving customers a chance is a rewarding proposition. If you are serious about cleaning the debt mess in your life and want to find financial stability, CFS 2 is who you want on your side. For more information, visit: http://www.americanconsumercouncil.org/awards.asp. Guest rooms are available at a special rate at the Rancho Bernardo Inn. For information and rates, please call: 877.517.9340 or visit the Rancho Bernardo Inn website at: http://www.ranchobernardoinn.com/accommodations/. 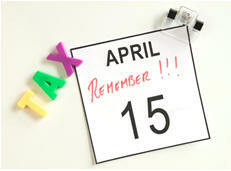 For information, please contact ACC at: info@americanconsumercouncil.org.